The Single Use Plastics Directive, as amended by the European Parliament, not only stipulates a minimum target of 35% for recycled plastic in beverage bottles, but also a 90% collection target for recycling. Indeed, the minimum target of 35% for recycled plastic in beverage bottles voted by the European Parliament will be a key contributor, as acknowledged in the report, towards the creation of a steady market for recyclates, and will ensure a more circular use of plastics. There is a need to design fully recyclable packaging items and to incentivise ambitious collection rates, whereas one can observe the trend towards a growing production of single-use ones, in particular, beverage bottles, even in countries with high collection rates. 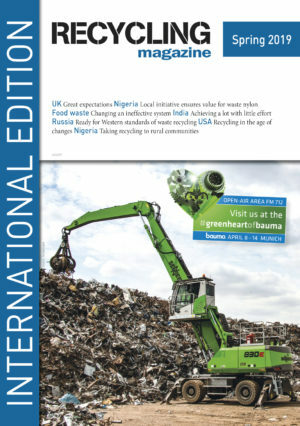 A mandatory recycled content target will send, through the waste and material value chain, a strong signal to boost the offer of, and the demand for recycled plastics, as well as provide operators with the necessary certainty they need to make significant investments in plastics recycling from packaging products. Indeed, up to € 10 billion worth of investments will be required in the waste management and recycling sector to innovate and expand the separate collection, sorting and recycling capacity for all plastics at EU level. The private waste management sector will play a key role in transforming the European Union’s economy into a circular one. The European Parliament approved today its report on the draft Directive on Marine Pollution and Single-use Plastics. “European Bioplastics fully supports the transition from a linear to a circular economy. Bioplastics enable more sustainable solutions for a range of products“, says François de Bie, Chairman of European Bioplastics (EUBP).